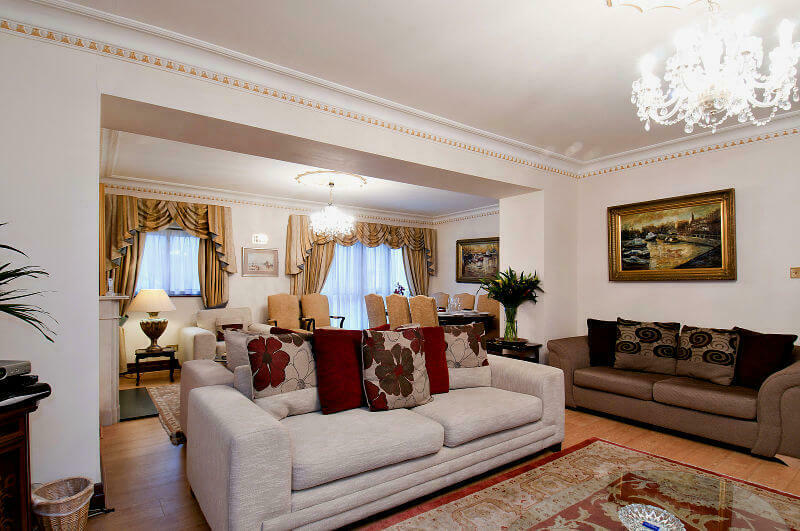 If you have been on Google looking for apartments in Mayfair you will find that there are a number available, but there are few at the prices offered by Carlton Court and very few – if any – that come with all of the extras that we supply. What’s more, you may also find that many of them are booked up for the time that you need in London, and only the extremely expensive ones at the sort of figure of £800 a night rental and upwards are available – for the obvious reason that they are so expensive. That doesn’t mean that you are getting anything more for your money, just that the owners charge that sort of figure. You certainly won’t find many starting from as little as £250 a night which is what we offer at Carlton Court. What’s more, you won’t find many that provide a Welcome Pack such as we do, which consists of fresh flowers, fresh fruits, chocolates, and drinks, so that you can settle in to your – albeit temporary – home the minute that you arrive. All guests also get a breakfast hamper, courtesy of the house. This includes a Nespresso machine to provide all types of coffee, a selection of tea’s if coffee is not your “thing”, cold drinks and juices, fresh milk, various cereals, freshly baked bread with that delicious smell, fresh eggs, fresh pastries – croissants, muffins, and so on – and, of course, butter, marmalade, jam, and honey. What a splendid way to start your day! In addition to that, you benefit from a full time 24 hour concierge service and security, housekeeping with a 7 day a week maid service, high speed broadband, and a state-of-the-art kitchen with a washing machine, dryer and dishwasher. Our staff speak a wide range of different languages and are there on call whenever you need them. There is full air conditioning together with underfloor heating, plenty of cupboard space, and the latest TV’s in every room with all the channels that you could possibly wish for. Carlton Court is nothing short of stunning, so contact us today and tell us when you want to come.